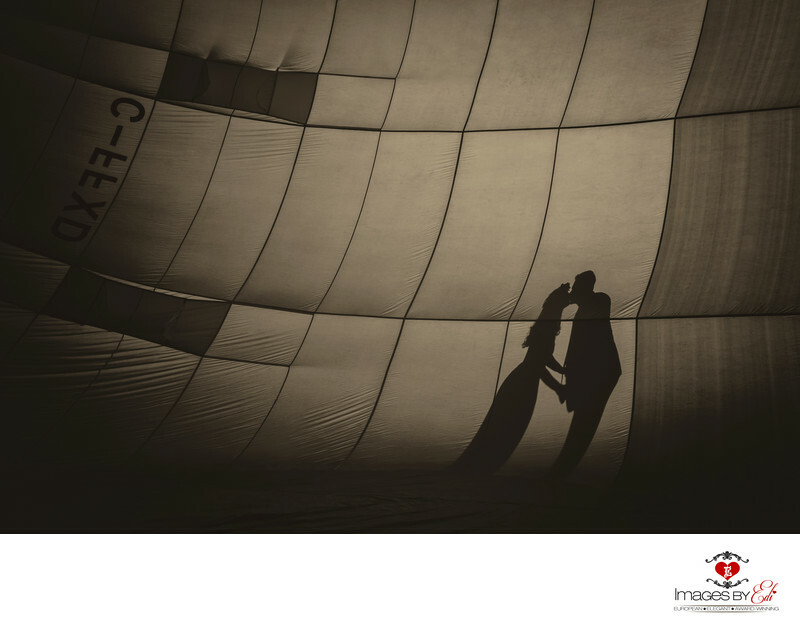 Silhouette of the bride and groom from Russia behind the hot air ballon. They just got married inside the red balloon minutes before this image was taken. I turned the photo to warm black and white. Their Las Vegas Hot air balloon wedding was planned by Regina @ Vegas Wedding Planner. The weather was beautiful, but according to the standers and the rules, a bit windy, so we didn't take off. We had the wedding ceremony inside the red hot balloon. What a unique Las Vegas wedding! We had an early start with hair and make-up, since we had to be at the location before sunrise. The experience definitely worth the wake up early!